If you are coming to Las Vegas and planning to rent a vacation home, this is the Blog for you! 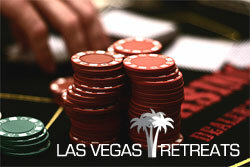 We're all about Las Vegas vacation home rentals, advice for renters, both leisure for corporate travelers. We're here to help you have a great experience with useful and fair advice, savings suggestions, renters comments and feedback and just anything else a vacation home renter in Las Vegas would need. Let The Vacation Butler Help You Travel Well! When was the last time you got great information the locals about where you're going? Now you can get that kind of great advice from a reliable website too! The Vacationj Butler is a great source of travel information provided in a blog format with personal feel and flare. You'll love the fun and friendly advice and the real honesty of the opinions given. Nothing is paid for here! Everything is posted because the subbys enjoyed it (or didn't) and want you to know all about their experience. We recommand The Vacation Butler for travel advice, especially for Las Vegas travel and travel internationally too. We especially enjoy the site and hope you do too! WSOP Is Almost Here Again! Well, just like every year in the recent past, here comes the World Series of Poker again! And also like every year before, for sure we're going to book all of our WSOP vacation rentals and probably wont be able to satisfy all the demand. We recommend early booking, but, most players who want homes wait until almost the last minute anyway. If you're coming to WSOP 2017, either as a participant or as part of the event, we recommend you book now. Almost all our available homes are already booked and we are almost sold out! Is This The Most Amazing Vacation Rental In Vegas? When it comes to finding a vacation home rental in Las Vegas, many people look for something out of the ordinary. Instead of the standard home with places to cook and to sleep, many Vegas visitors want their vacation rental to enhance the visit and to allow them to experience something beyond what they may typically experience. The thinking is, "Why leave all the fun at the strip? Why can't our vacation home be just as much fun?". This is why we are always looking to find homes that are unique and uniquely situated to deliver an experience that is convenient to all the fun Vegas offers, but also offers its own amenities and features that make it a destination unto itself. And when it comes to delivering on those things, our vacation rental The Sedona Estate is exactly what the doctor ordered for just such an occasion. It's simply unheard of to find this much private space in Las Vegas anymore and they do not build them like this one. This home is all about playing like a Las Vegas bigwig and having everything to show for it. Six bedrooms four bathrooms and space space space! You simply will not believe how there is to do and enjoy in this incredible home. Not only does the home offer plenty to do inside, but you'll enjoy your own massive and completely private swimming pool, but you'll also have your own private regulation sized tennis court as well. Amazing! Beyond all this is an open fire pit and a very large gazebo for entertaining outdoors. There is ample space on the property for guests to find privacy and for up to 13 guests to enjoy space of their own. One of the best features of the home is its proximity to the Las Vegas Strip. Even though you have almost two acres of privacy and are located in a quiet family oriented neighborhood, the Sedona Estate is only a short drive to the center of the Strip. The most exciting and well known casinos are literally just down the road. This home is available to book now. We recommend claiming your dates well in advance as the home is likely to be booked solid throughout the year. This will be especially true around summer vacation time when the World Series of Poker comes to town and all the vacation homes in Vegas become super popular and pricey. We recommend booking at least 90 days in advance. For best luck getting your dates, be ready to book six months in advance or be ready to move your dates. Here it comes! The rush to book the best available homes for WSOP is about to get underway. If you're one of the many thousands of participants coming to Las Vegas for the annual World Series of Poker, then you are probably also one of the potential customers for a home to rent for WSOP. Fear not! We are here to help. Below you will find some of the best ways to secure of good home for the tournament, and some of the really poor ways to get a "good" deal. What If I Don't Mention WSOP? Las Vegas is a place where deal making is king. Probably nowhere else in the world, except maybe Hong Kong and Wall Street, has the art of negotiation been mastered as it has in Vegas. So keep that in mind when you come looking for a nice home to rent for WSOP. Owners and vacation rental management companies know well and good that the tournament is the big money making period of the year. Don't expect to hoodwink any naive owners to get a low price. It's not going to happen. They know very well why you are calling about a six week booking that starts June 1st. You'll be one of many calls they get exactly the same dates. See what we mean? Be realistic with your expectations and don't start off your search assuming we wont know why you are calling. Where Should I Rent A Home For WSOP? As usual, the World Series of Poker is going to be held at the Rio Casino Hotel. You will want to rent a home for WSOP that is as close to the Rio as possible. The best choices are going to put you within 10 to 15 minutes of the event. The worse choices will put you as far as 45 minutes away depending on the day of the week. Remember, you are here for about 6 weeks. We recommend homes in Southern Highlands, Green Valley and Henderson as well as Summerlin and Spring Valley on the west side. All of those areas are either close to begin with or have great access to the event via major highways and boulevards. How Much Should I Pay For Good WSOP Lodging? The answer to that question is really up to you. There is a great list of homes to rent for WSOP on our website that already includes everything in the prices. You can see up front what you will pay for your rental, how far the home is from the tournament, the size of the home, the capacity and number of bedrooms. You can also preview each home on our website and book directly by calling when you are ready. All rentals for WSOP housing must be booked over the phone due popularity of the period and demand for homes We expect a complete sell out as usual. Good luck in your search. Visit us and call today to make the whole thing easy! Las Vegas Concierges has added more Las Vegas tours and adventures to its already lengthy list of exciting excursions! The new additions offer options suitable for the entire family and for almost every budget. Some of the tours included on the list are brand new to Las Vegas and others have been updated and redone for this every changing town. We recommend checking the list often for the latest information. It is interesting to see what can happen when creative minds collude to manifest something unique and compelling. Take for example the new Grand Canyon tour which is a combination of a helicoptor ride to the South Rim of the Grand Canyon combined with a guided Harley Davidson Motorcycle tours of points of interest along the southern rim. Or perheps you would like to stay closer to town and keep the budget more conservative? No problem! Check out many of the free or nearly free activities on the list that are perfect for families and travelers on a budget. Many excellent adventures exist right here in town and even more are only a short drive away. 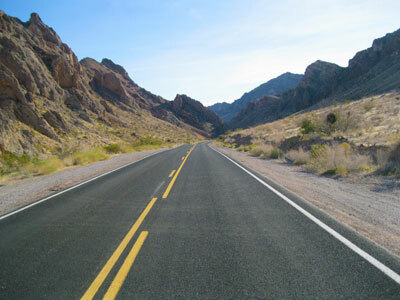 Some nearby natural wonders offer excellenbt choices, such as the Valley of Fire and Red Rock Canyon. Thos willing to drive a bit will find even more amazing destinations, such as Death Valley, Zion National Park and Bryce Canyon, located in southern Utah. All of these incredible natural wonders are suitable for families and an excellent way to spend a day adventuring around Las Vegas. We get calls all the time from families coming to Las Vegas looking for fun and safe places to take the kids. They want something that wont break the bank just for a few house of enjoyment, and yet provides something new and different from the same old Strip. To make this an easy task for parents, we have compiled and excellent list of great activities for families with children coming to Las Vegas. As parents, we understand what it means to find something that's not too far out of the way, is fun, doesn't cost a lot, and will be something everyone in the family can enjoy. Now surely the Las Vegas strip offers a lot of great activities for kids and some cool places to visit too. But just a few miles from the main casinos is a virtual plethora of adventures waiting to be discovered. Our list Las Vegas for Kids is our list of the best possible choices for family outings. You'll find everything from free to nearly free and all of the adventures listed are wholesome and fun for the whole family. Be sure to check it regularly as the list is updated constantly to keep pace with our ever changing town. Have You Heard What Wayne Newton Is Doing To His House? Secret Event Space Right On The Las Vegas Strip! All Content Copyright © Las Vegas Retreats - Content Reuse Prohibited. Travel theme. Theme images by 1_trick_pony. Powered by Blogger.